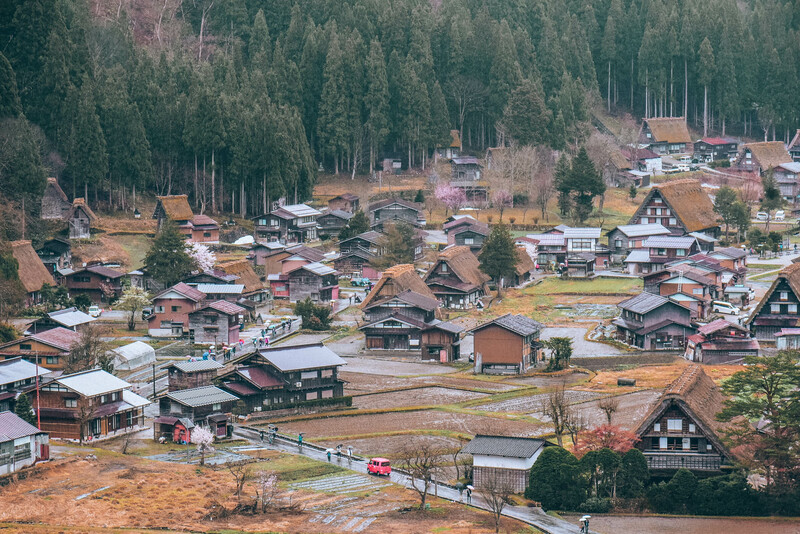 Shirakawa-go is an age-old village fringed by mountains and studded with gabled gassho-style houses. For a long period of time, it was cut off from the rest of the world while thriving on rearing of silkworms and cultivating mulberry trees. Shirakawa-go can be reached from Tokyo, Nagoya, Osaka, Kyoto and Nara. But the easiest and most convenient route to Shirakawa-go is from Nagoya. Shirakawa-go was declared as a UNESCO World Heritage Site (“Historic Villages of Shirakawa-go and Gokayama”) that includes the gassho style villages in Taira Villlage Ainokura in Toyama Prefecture, Kamitaira Village Suganum and Shirakawa Village Ogimachi in Gifu Prefecture. Shirakawa-go is best visited on winter (December – March), when the village is draped by snow. 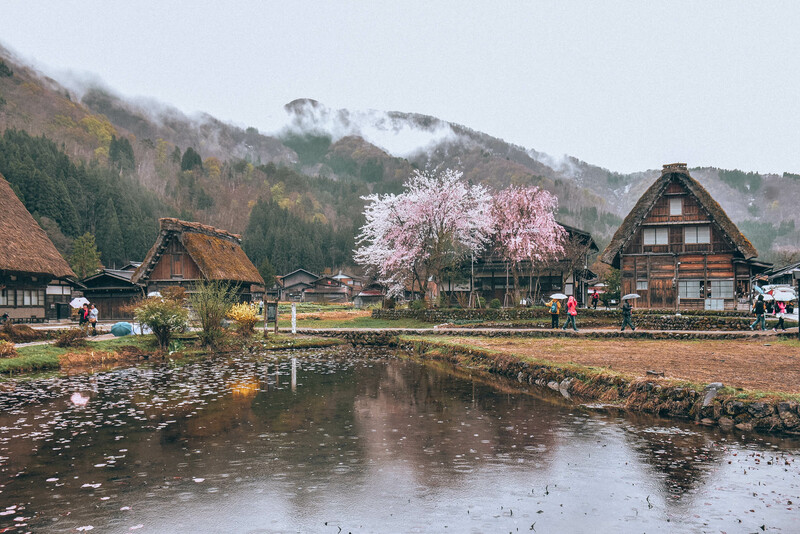 We visited during spring, and I find it equally charming because Shirakawago is dappled with cherry blossoms that shimmer against the deep green trees in the forest. Due to the rising popularity of Shirakawa-go, better to avoid visiting during holidays and weekends because it’s most likely crowded. Shirawa-go is best viewed from the Shirakawa-go Shiroyama Observatory Deck (Shirakawa-mura) where you can witness a panoramic view of the gassho- style houses that resemble hands in prayer, partly shaded by the jungle-clad mountains and interrupted by the flowing river. If you visit Shirakawa-go during winter, it even gets more dramatic at night when the entire village lights up, creating a winter wonderland. 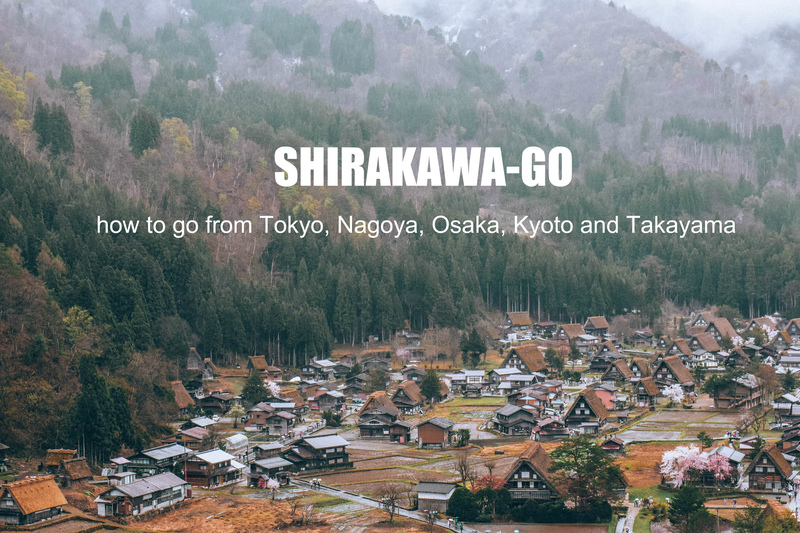 To help you plan your trip to Shirakawa-go, here’s a detailed guide on how to go to Shirakawa-go from Tokyo, Nagoya, Osaka, Kyoto and Takayama. From Tokyo,you can actually go to Shirakawa-go without having to travel to Nagoya. This route will pass through Toyama. But, be advised that this route is longer and a bit more expensive compared to the Shirakawa-go from Nagoya route. If you have a JR PASS, you can use it for your Hokuriku Shinkansen ride from Tokyo to Shirakawa-go. You can PURCHASE JR PASS HERE. This is the fastest route to Shirakawa-go from Tokyo. Total travel time is about 5 hours and 24 minutes. Total fare is JPY 14,270/ PHP 6,938 /USD 133/EURO 109/SGD 176/MYR 522. STEP 1: From Tokyo Metro Station in Tokyo, walk to Tokyo Station (about 240 meters). STEP 2: At Tokyo Station, take the Hokuriku Shinkansen (Kagayaki). STEP 3: Alight at Toyama. STEP 4: At Toyama, walk for about 5 minutes to Toyama Station (take note that Toyama is different from Toyoma Station) Bus Stop. CLICK HERE for location map. Consult Google Maps for directions, GPS Coordinates is 36°42’03.0″N 137°12’46.8″E. STEP 5: Transfer to Nohi Bus to Shirakawa-go. This express bus departs at Toyoma Station Bus Stop #1. STEP 6: Alight at Shirakawa-go. 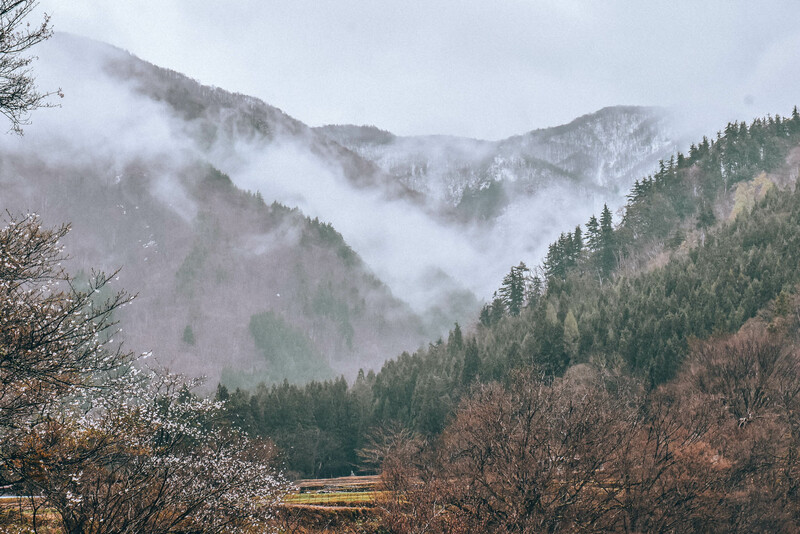 Reservation is required for Nohi Bus from Toyama to Shirakawa-go, contact Nohi Bus at phone number +81-577-32-1688 / Toyama Chiho Railway Bus phone number +81-76-433-4890 from 9:00 AM – 6:00 PM. Fares may vary depending on the season and type of bus. Transit times mentioned here doesn’t include transfer and waiting time. A hassle-free way to Shirakawa-go from Nagoya is by booking a tour package. 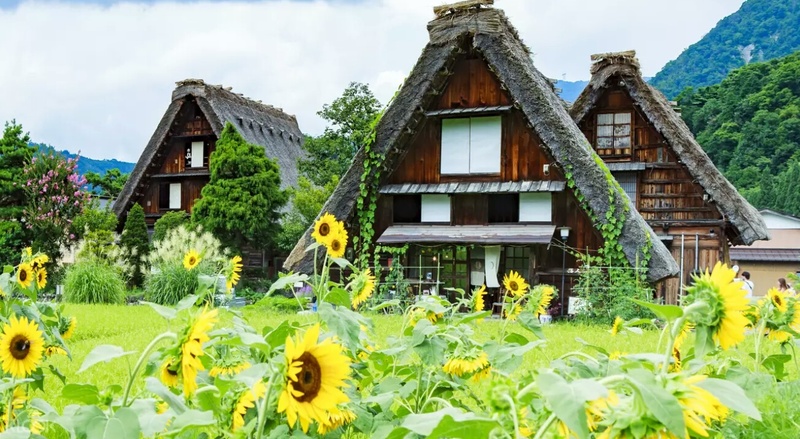 This tour package includes a visit to Shirakawa-go, a UNESCO World Heritage Site and Ainokura, a remote farmhouse village in the Gokayama region. Cheaper than taking the highway bus (lunch and tour guide included). 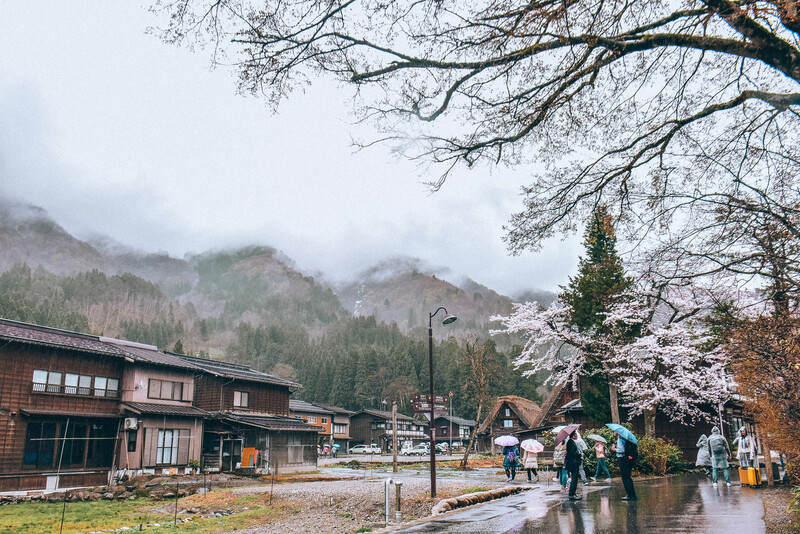 This is another great option as you can join a group tour to Shirakawa Village + Takayama, a city buried in the mountainous Hida region, known for its beautifully preserved old town. A cheaper and convenient way to get to Shirikawa-go from Nagoya is via the Shoryudo Highway Buss Pass. You can choose from 3 days to 5 days pass (unlimited rides). 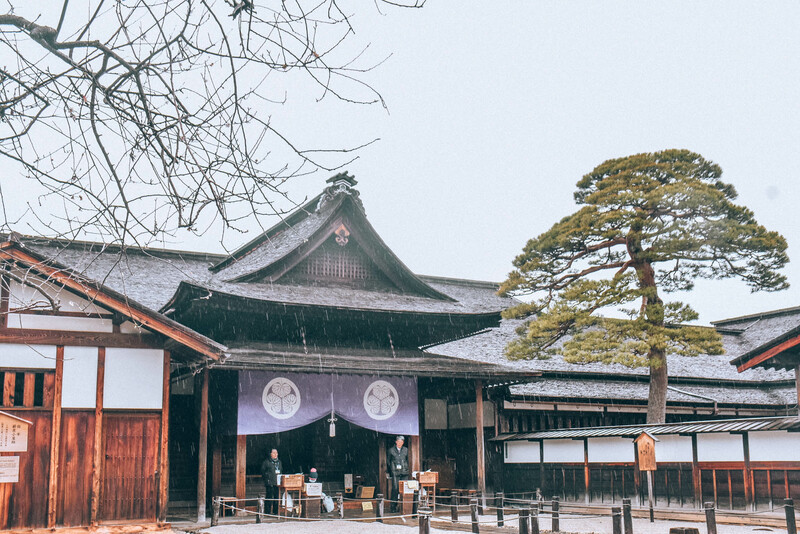 You’ll enjoy a discount of over 35% from your travels around the Chubu Hokuriku region of Japan like Takayama, Shirakawa-go, Kanazama, Toyama and Nagoya areas – all with one pass. If you don’t want to join a tour package as you prefer on exploring this quaint village on your own, you can do a DIY trip to Shirikawa-go from Nagoya. Personally though, I still prefer the Shoryudo Bus Pass (see Option 3 above), as it is cost-efficient, convenient and I can still get around Chubu Hokuriku region on my own. But if you only have a day to spend to spend in Shirakawa-go, best to just join the tour package mentioned above, since it’s cheaper and it already includes a guide and lunch. STEP 1: Take the metro to Nagoya Station. STEP 2: Walk towards Meitetsu BC Bus Stop. STEP 3: Purchase bus ticket to Shirakawa-go via Gifu. Travel time: Approximately 2 hours and 50 minutes. STEP 4: Alight at Shirikawa-go. STEP 1: At Shin-Osaka Station in Osaka, ride the JR Shinkansen train to Nagoya. Depending on your schedule, you can ride any of the following Shinkansen trains: Kodoma, Nozomi (50 mins) or Hikari (69 mins). IMPORTANT: JR Pass isn’t accepted on Shinkansen Nozomi, but you can use it on Hikari and Kodoma trains. STEP 2: Alight at Nagoya Station. STEP 3: From Nagoya Station, walk to Meitetsu BC Bus Stop. STEP 4: Buy bus ticket to Shirakawa-go via Gifu. Prior reservation is highly recommended. Alternatively, you can also purchase a Shoryudo Bus Pass for 3 days or 5 days unlimited rides. This is a good option since it’s unlimited rides around Chubu Hokuriku region of Japan (Takayama, Shirakawago, Kanazama, Toyama and Nagoya areas). STEP 5: Get off at Shirikawa-go. STEP 1: From Osaka Station, take the JR Ltd. Express Thunderbird to Kanazawa Station. Transit time: 2 hours and 8 minutes. STEP 2: Alight at Kanazawa Station. STEP 3: From Kanazawa Station, transfer to Nohi Bus en route to Shirakawa-go. But you can also purchase a Shoryudo Bus Pass for 3 days or 5 days unlimited rides. I highly recommend this option because it offers unlimited rides around the Chubu Hokuriku region of Japan (Takayama, Shirakawago, Kanazama, Toyama and Nagoya areas). And it’s a lot cheaper considering it’s unlimited rides! STEP 4. Alight at Shirikawa-go. Reservation is required for Nohi Bus from Kanazawa to Shirakawa-go, contact Nohi Bus at phone number +81-577-32-1688 / Toyama Chiho Railway Bus phone number +81-76-433-4890 from 9:00 AM – 6:00 PM. For online reservation, CLICK HERE. STEP 1: From Kyoto Station, take the Shinkansen to Nagoya Station. You can take any of the following Shinkansen trains: Kodoma, Nozomi (35 mins) or Hikari (36 mins). IMPORTANT: JR Pass isn’t accepted on Shinkansen Nozomi, but you can use it on Kodoma and Hikari Shinkansen trains. STEP 2: Disembark at Nagoya Station. STEP 3: From Nagoya Station, head to Meitetsu BC Bus Stop. STEP 4: Purchase bus ticket to Shirakawa-go via Gifu. Prior reservation is highly recommended. Also, you can purchase a Shoryudo Bus Pass for 3 days or 5 days unlimited rides to Shirakawa-go from Nagoya. This is a good option because it offers unlimited rides around the Chubu Hokuriku region of Japan (Takayama, Shirakawago, Kanazama, Toyama and Nagoya areas). STEP 1: From Kyoto Station, take the LTD. Express Thunderbird to Kanazawa. But you can also purchase a Shoryudo Bus Pass for 3 days or 5 days unlimited rides. I highly recommend this option because it offers unlimited rides around the Chubu Hokuriku region of Japan (Takayama, Shirakawago, Kanazama, Toyama and Nagoya areas). If you plan to travel to Takayama first before going to Shirakawa-go, this is a great option. Otherwise, you can get to Shirakawa-go from Nagoya by bus. STEP 1: From Takayama, ride the Nohi Bus to Shirakawa-go. Transit time: Approximately 50 minutes. Alternatively, you can purchase the Shoryudo Bus Pass for 3 days or 5 days unlimited rides. This is recommended because it offers unlimited rides around the Chubu Hokuriku region of Japan (Takayama, Shirakawago, Kanazama, Toyama and Nagoya areas). STEP 2: Alight at Shirakawa-go Bus stop. 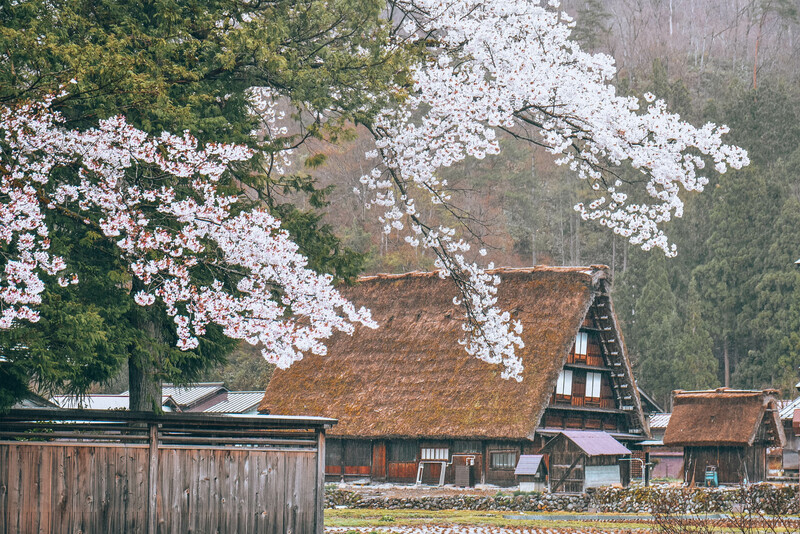 You can visit historic villages including two World Heritage Sites; explore Ainokura, a remote farmhouse village in the Gokayama region and Shiraka-go in one day! Explore Takayama, a pristinely preserved old town surrounded by mountains in Hida region, Japan. Also included is a trip to Shirakawa Village. 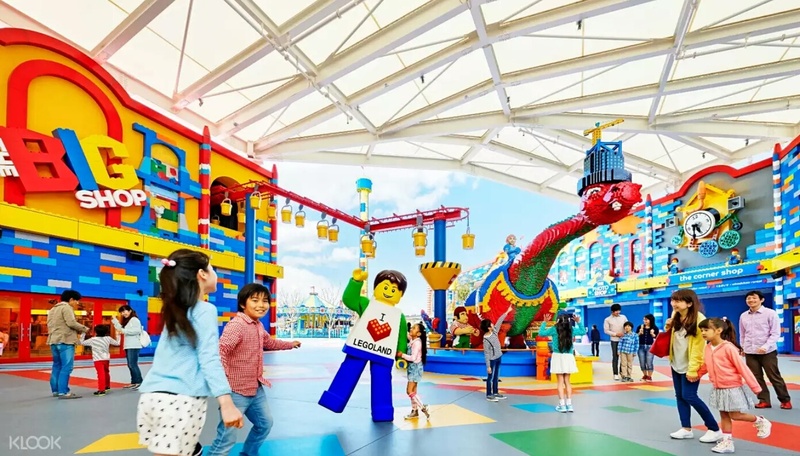 Visit Legoland, the newest Lego theme park just opened in Nagoya, Japan. Experience over 40 different attractions, including a variety of rides, shows, and activities. If coming from the Philippines, there are regular flights from Manila to Nagoya (Chubu International Airport) and JETSTAR airline offers the cheapest rate I’ve seen so far. You can book your flights here https://www.jetstar.com/. Jetstar flies 4 times weekly from Manila to Nagoya, they offer one of the cheapest airfare to Japan. This post was made possible by Jetstar Asia.